. إن Apartments of South Yarra حريص على توفير الراحة للنزلاء، فلا يوفر الموظفون جهداً في تقديم أفضل الخدمات وضمان حسن الاستقبال. يقدم الفندق واي فاي مجاني في جميع الغرف, متجر, خدمة غسيل ذاتية, خدمة سيارات الأجرة, مكتب الاستقبال على مدار الساعة لضمان الراحة القصوى لضيوفه. استمتع بوسائل الراحة الراقية في الغرف أثناء إقامتك هنا. بعض الغرف تتضمن تلفزيون بشاشة مسطحة, اتصال لاسلكي بالإنترنت, مكيف هواء, تدفئة, خدمة الإيقاظ لمساعدتك على استعادة طاقتك بعد يوم طويل. كما أن مجموعة الخدمات الواسعة الموجودة في الفندق لضمان راحتك تترك لك الكثير من الخيارات لقضاء وقتك أثناء فترة إقامتك. 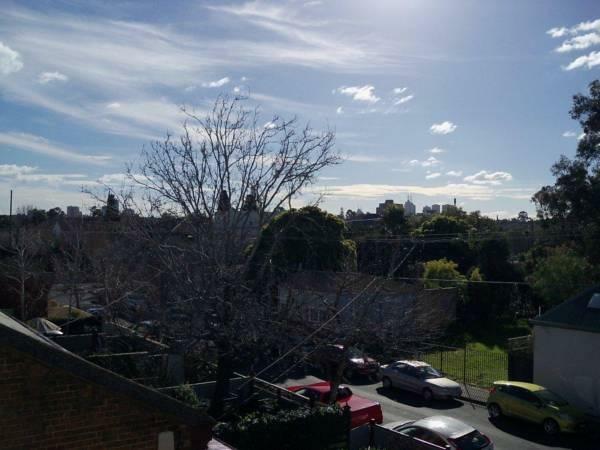 يحظى فندق Apartments of South Yarra بموقع ممتاز وخدمات يصعب منافستها. The main thing that drew me to the place (apart from the location) was that I needed somewhere with free parking, but it proved to be a nightmare, as the parking area is very tight and difficult to turn around in, plus very difficult to access at the moment due to the street being closed off due to a major construction site that looks like it will be there for at least a year. Then once you’ve made your way through the circuitous maze of backstreets, you find you need a permit and the reception desk isn’t even in the building - it’s in another building a block away as the crow flies but more like three blocks by foot thanks to the construction site. The rooms themselves are ok, and the location is still great for cafes, restaurants and public transport, so if you’re happy to just leave your car parked for the length of your stay, you’ll probably be ok, but God help you if you actually need to use your car. We are planning our next trip to Melbourne and we will be staying here again . What can I say, it was clean, staff friendly, everything you need for a short stay in an apartment, location perfect for South Yarra, even parking which is hard to find in this area. This will be our "come to" place for our visits to Melbourne! Absolutely disgusted in my stay at the apartments of south Yarra. The toilet seat was yellow and marked, the toilet would block after every use. For a nice weekend away this place was perfect. Conveniently located out of the CBD but near Chapel St we have great access to shopping and food options. Also close to trains trams. Very reasonably priced, clean and well appointed. 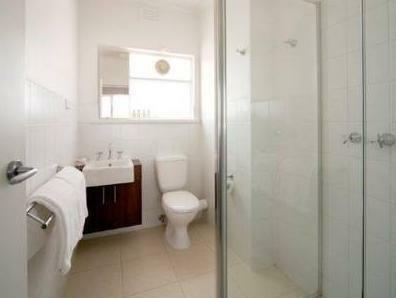 The apartment was big and is situated in a convenient location right next to Chapel Street. For those who drive, you can easily park outside the apartment for the night. For those who don't plan to, it is within walking distance to the South Yarra metro station. Chapel Street is a great place to explore the hip Melbourne, carrying a different vibe to the CBD. Accommodation even comes with breakfast at the Claremont Hotel though we have no idea what it is like as we missed it. Apartment size is good, comes with a kitchen and hall. The only downside was (and do take note because you won't be informed! ), check in is at the Claremont Hotel, which is about 200m walk away down William Street. We checked in really late at night, and went wondering around the apartment looking for a reception before remembering coming across this somewhere in the reviews, so we had to drive down to the Claremont before driving back again. Once you got this in mind, you will have an easier time checking in. I travel to Melbourne regularly to visit relatives and have stayed in quite a few different places. Apartments of South Yarra were a delightful surprise. The inside was spacious,clean, comfortable, and very well equipped. The little touches like coffee sachets and shortbread biscuits were lovely. I found a generous supply of personal items added to a comfortable stay. The position in the heart of South Yarra was excellent and even though there is parking available, I could walk everywhere or catch public transport which was very convenient. I will stay there again. Just a few minutes to restaurants, cinema and south Yarra train station. Great location! The unit was very clean, quality linen, bedding and toiletries with generous kitchen provisions were provided. The airconditioner could be a problem on a hot night. We had a comfortable few days and the off the street parking was adequate. We were able to leave the car for a few hours after checking out. Would definitely stay again. Simple breakfast is provided to hotel guests. Spent 5 nights here on business. The location in South Yarra is perfect, just 1 min from the main Chapel St drag with it's shops and bars, seems a really nice neighbourhood. The apartment itself was clean and comfortable enough, even though it looks old and nondescript from the outside. Nice apartment, everything you need. The only negative is having to check in at another place, which is in Toorak Rd, where there is no parking. Husband wound up driving around the block lots of times while I checked in. That is the only thing I would dock points for. Location is great, central but quiet and the apartment is very well-equipped (except if you cannot do stairs). Nice homely feeling: I loved it! The check-in reception counter is at a separate location - along the main road (2mins drive or 5mins walk from the apartment). Our stay was comfortable, with spacious living room and bathroom. The kitchen is also quite well equipped. Do note that there is no lift available. Our apartment was on level 1 and our car was just parked right at the door. There are also many shops and cafes nearby - a short 5mins walk to grab a bite/shop around. We will stay here again.